Hello Doodlebugs! It's Mendi here today with a second project to share with you this week. 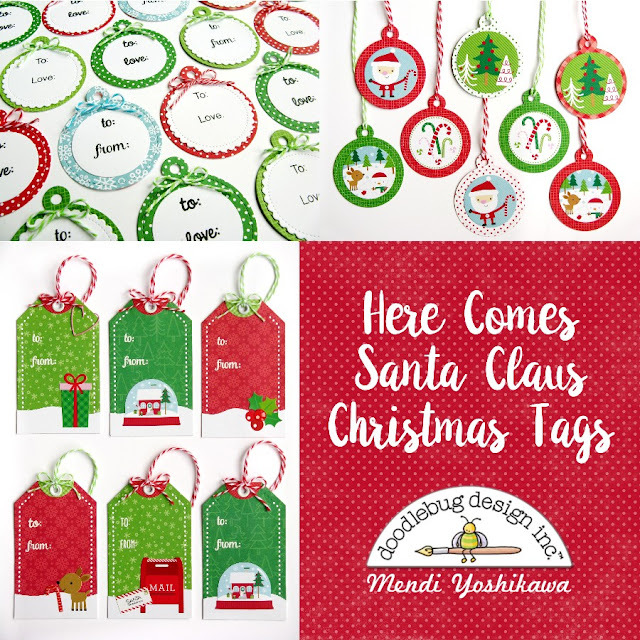 This time I'm sharing some quick and easy ideas for Holiday gift tags using Doodlebug's adorable Here Comes Santa Claus collection. 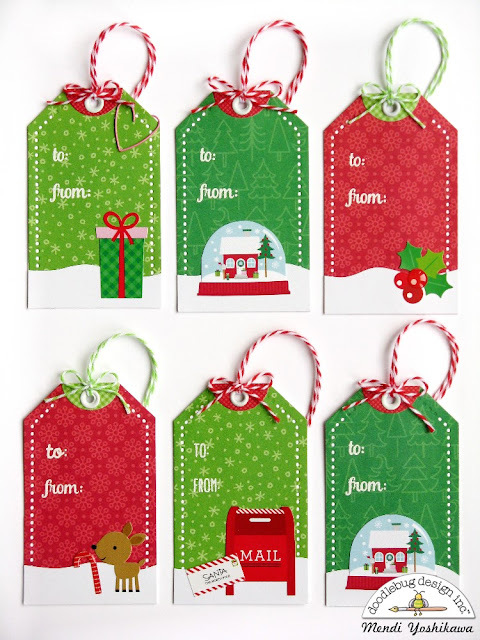 First is a set of gift tags using a die by Papertrey Ink and some cute icon stickers and embellishments from the collection. 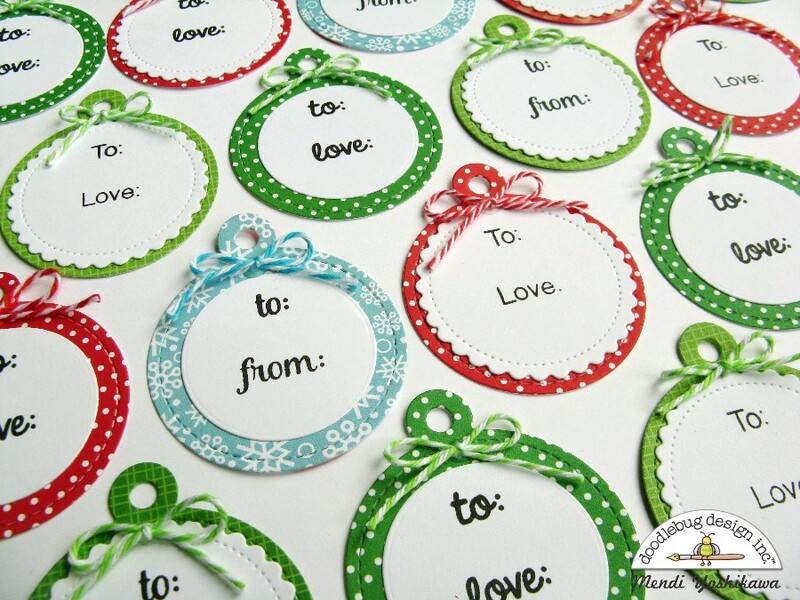 I love creating some extra special tags for my Mom & Sisters each year. 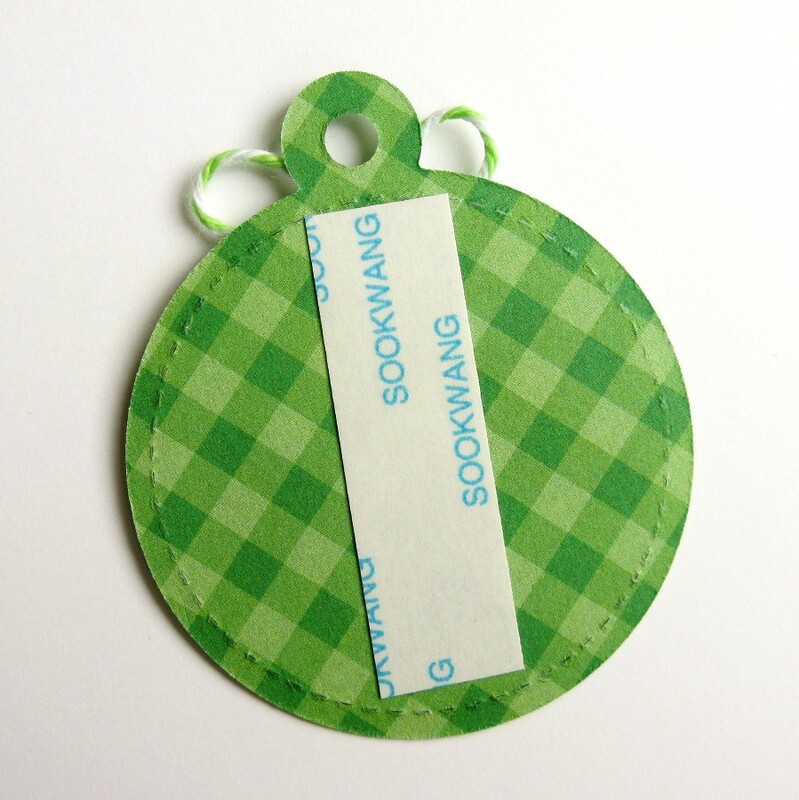 For my second set of tags I created some simple hanging tags using a circle tag die by Lawn Fawn and some Doodle twine. I kept these really simple to make mass production a breeze. I embellished one side by punching circles from a piece of patterned paper found in the 6x6 pad from the collection. On the back, I punched another circle from white cardstock and added my "to" and "from". My last set of tags is probably the most simple of the bunch, but they are the ones I will reach for the most. 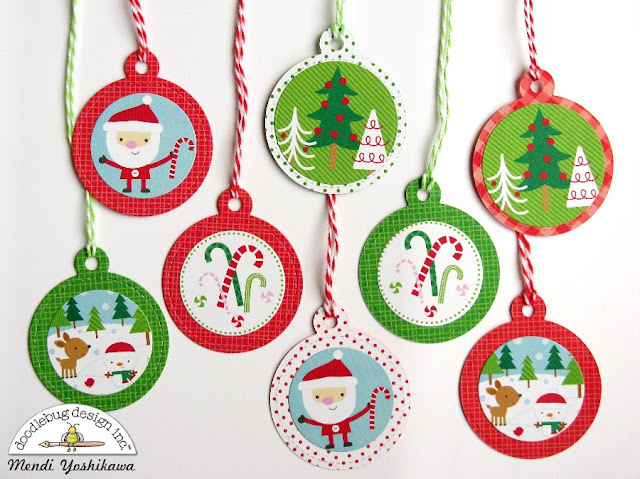 I die-cut the circle tag from a number of different patterned papers and another basic circle from white cardstock. I then stamped a simple "to" and "from" before adding a little bow with liquid adhesive. When I was done, I went through and added score tape to the back of each tag so when I'm wrapping gifts I can just peel and stick. Love that I was able to create all my tags for the season in an evening. I hope I've inspired you in your holiday crafting. Why not invite some girlfriends over, put on some Christmas music and have a fun evening of making holiday tags together? These are fabulous Mendi, each one a work of art!! !